A builder offering a guarantee which has no longevity e.g. "We guarantee your patio will look like our display" or "36 year experience guarantee" these types of guarantees offer no protection once the patio is built and minor or major defects begin to emerge. We recommend that no matter who you purchase through compare they’re guarantee against The Patio Guys, remember to ask, a) what type of guarantee it is, b) does it cover minor as well as major defects, c) what is the period of Guarantee and does it have limitations or special conditions. D) Make sure the Guarantee is in writing and specifies the terms and conditions of the Guarantee. HBCA Guarantee - a mandatory requirement by law under the building act and offered for a limited period of 6 years from completion of building. This guarantee is for a remedy where the contractor refuses to rectify mistakes, faulty workmanship; full completion of work promised under the building agreement or simply cannot be found. IT IS NOT TO BE OFFERED AS A WORKMANSHIP GUARANTEE! If this is what you have been offered as sole guarantee DO NOT PROCEED. 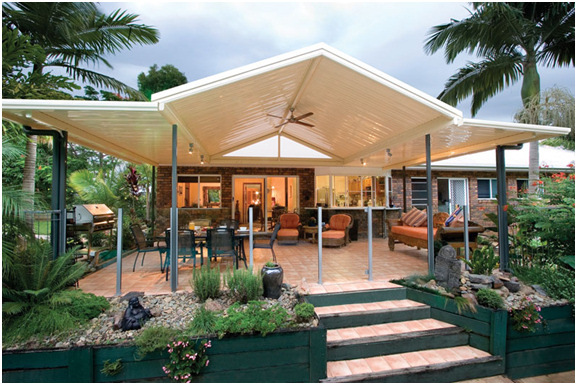 Guarantee (BHP 25 year) - BHP DO NOT OFFER ANY WARRANTY SUPPORT FOR THE PATIO SECTOR. Guarantee of Product - a formal assurance in writing by the Manufacturer as to what standard of performance the consumer can expect or what action by the Manufacturer will be taken to rectify such. Guarantee of Product - limited warranty- a 'Conditional' guarantee-like expression by the manufacturer as to what reasonable performance standards should occur under reasonable conditions. No expression of action to be taken. Guarantee of Workmanship - (industry) provided by the subcontractor who physically performs the construction of the patio and not required to be offered by the initiating contracting company appointed by the client at point of sale. Guarantee of Workmanship THE PATIO GUYS - Provided by The Patio Guys as sole party contracting to its client, for minor and major defects of a period of 10 years from completion. So don't settle for those Limited Warranties or the tell tale "6" year cover. Accept nothing less than the best The Patio Guys 10 year Workmanship Guarantee.